France in London | How to pay less income tax in England? How to pay less income tax in England? All taxpayers have a 'personal allowance'. This means that there is a maximum amount you can earn every year without paying tax. It depends on your age and your income. In 2016/17, it is around £11,000. However, you cannot have a personal allowance if you are not liable to pay tax in England and thus have to pay tax on 'remittance' basis. You do not pay tax if some of your income comes from Individual Savings Accounts (ISA), 'savings certificates', children allocation... In 2016-17, there is a maximum amount of £15,240 that you can put in a ISA deposit account and up to £10,240 can be saved in cash. You do not pay tax on the interest and dividends you get from your ISA account, and the benefits you get from investments are exempt from capital gains tax. 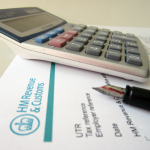 your insurance company arranges tax relief for you of 20% and adds it to your pension. You can get tax relief at source for all your personal pensions. For the refund of additional passengers (journey by car or van), the rate is 5p by passenger, by journey and by mile. You can only get a refund for journeys having taken place for profesional reasons.